If you could write a dream role for Michelle..
You can get as creative with this as you want. You can go from just naming a franchise you might want her in, to a full-on character arc complete with co-stars and key scenes. Maybe I could come up with my own, once I've seen a few responses. I’m actually writing a dream role for Michelle right now. I don’t wanna say too much about it cuz it’s still very early stages but it’s a historical drama dealing with the social change in 70s America. Requires a lot of research and help from historical consultants. But without giving too much away, the part I’m writing has her playing a slightly controversial figure in some ppls eyes. I know it doesn’t sound like the most thrilling or commercial project, but it’s an idea I’ve had in my head for some time that I just have to get out, even if it never leads anywhere haha. Gonna show it to some filmmaker friends once I’m done with it to get some feedback. U know its tough thinking of a role I want her to play I mean like the specifics or what story it would be haha guess thats why im not a writer. For the past few days, I have been trying to come up with something, but I am at a loss for words, Lol. Have you thought of any ideas yourself? This is more difficult than I expected. Be sure to share the script with us at some point. Gloria Steinem, am I right, close....? I'd write a complex character for her to play in a contemporary setting. The genre would be either a gritty mystery / crime thriller or a socio-political drama set in the Me Too / Time's Up era. In the crime thriller, I'd want her to play a compromised and flawed key witness to a crime. In the social / political drama, I'd want her to play a ballsy feminist executive in the entertainment field who becomes a passionate advocate for change. A seasoned pro who experienced something similar to what Linda Bloodsworth-Thomas wrote about working for Leslie Moonves. In both examples, I'd prefer a limited series over a feature film. 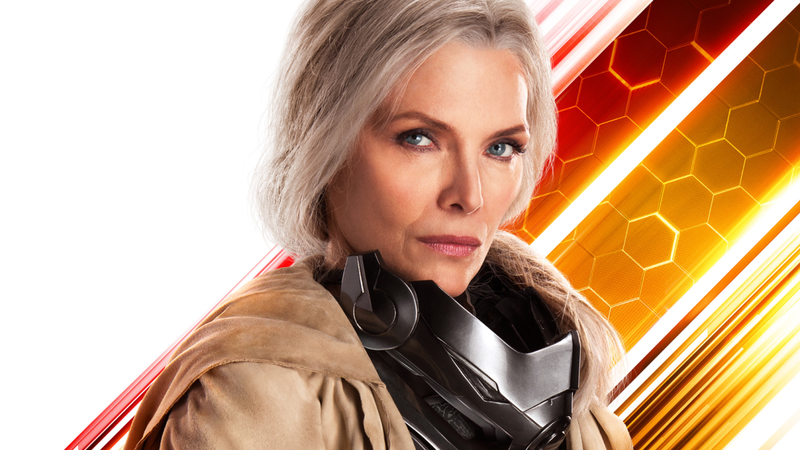 The use of de-aging technology probably wouldn't be that controversial, especially if it's only used in a few flashback scenes.I always wanted to see her play Harry, too. Nope ha ha...I wouldn't even known how to begin to write her story. Besides, I think Moore is playing her in a movie next year. 1. I would write her a story about alcoholism. More of portrait of a adult screw up. A regular everyday women, a loner (no real social skills), working a regular 9-5 schedule, giving all herself to some big named corporation just to get by check to check. After being passed over for an promotion for the tenth time; she decides to get completely wasted to escape her emotions but the pain doesn't go away. She slowly realizes she's not all that happy with her life and starts making drinking after work a new hobby. AND START TO DELVE DEEPLY INTO ISSUES OF SELF-EPWORTH AND DENIAL. Shes not close to her family, has no real friends and is in need of attention. Its eating her alive, that shes mid-sixties and hasn't been anywhere or done anything extraordinary with her life. No husband, no children she's just a old common hag. The hobby becomes her life, drinking all The Time To Cope With Her Issues. She's now coming to work tipsy and now has liquid courage and is finally speaking up for herself, showing signs of leadership because shes tired of being a people pleaser and her bosses are taking notices of this change. The day they do offer the promotion is the day she shows up drunk as hell and this will be a very dramatic day(loaded with oscar moments) which leads to a bittersweet ending. 2.i would a modern day whodunit in the style of the miss marple franchise for her. I like your idea of Pfeiffer struggling with addiction and being a loner, that sounds right in her wheelhouse.